What to look for when buying a used Ford Explorer? The Ford Explorer entered the market in 1991 as a full-sized sport utility vehicle. It quickly gained in popularity thanks to its family-friendly size, truck-like capabilities, and general utility. Since its introduction, the Explorer has seen several generations and morphed from a traditional truck-based build to a unibody construction crossover-SUV format. The first-generation Explorer was introduced for the 1991 model year, replacing the Bronco II as an SUV derivative of the Ranger pickup truck. A two-door Sport model and a five-door were offered with either two-wheel or four-wheel drive, powered by a strong V6 engine. In 1995, the Ford Explorer was updated to a second-generation with significant changes to the chassis and the introduction of a large V8 engine option. A limited offering of a pickup-styled Sport Trac model was introduced in 2001. The 2002 model year brought significant changes to the Ford Explorer in its third-generation. One was the dropping of a live rear axle in favor of an independent rear suspension, which improved the Explorer's highway drive and added rear cargo space. It also improved safety, ultimately dispelling the association of the Explorer and rollover crashes. The fourth-gen Explorer was introduced in 2006. A host of updates to the interior bolstered the Explorer's family-friendly credibility while powertrain updates were minimal. This would be the last generation of the body-on-frame Explorers. The fifth- and current-generation Ford Explorer entered the market in 2011. A crossover-style unibody construction was used for this new Explorer and this more contemporary underpinning was enhanced by more refined bodywork, pulling away from the truck-like look of previous-gen Explorers. Several turbocharged engine options from Ford's EcoBoost line are available, improving fuel economy drastically. Used Ford Explorer buyers will want to note that the 3rd-generation Explorer is often cited for transmission problems at high mileage. The Explorer otherwise enjoys a good reputation for reliability. What is the average price for Used Ford Explorer? How many are for sale and priced below market? What Ford Explorer model year and mileage can you get for your budget? Where does used Ford Explorer rank in comparison to competitor vehicles? What Is The Average Price Of A Used Ford Explorer By Model Year? What Is The Average Price Of Competitor Cars To The Used Ford Explorer? What Is The Average Price Of Used Ford Explorer In The Top 10 Cities? The Ford Explorer has been a long-time entry into the sport utility market and its name is virtually synonymous with SUV. 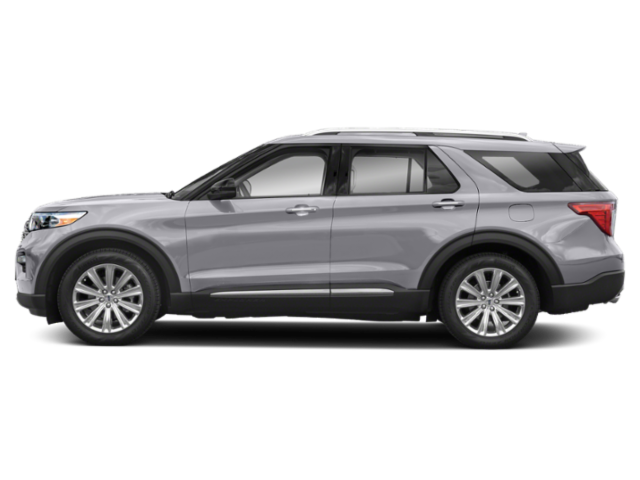 It's grown and evolved since its introduction, becoming a more contemporary 3-row crossover-SUV for the mid-sized market. It's at once a family machine and sporty sport utility, though the latter depends on some options. The Explorer has three distinct engine flavors for three different SUV experiences. The base is a good all-around choice, the turbo-four is a good mid-level fuel-efficient choice, and the turbocharged V6 is almost Mustang-like in its performance. So there's something to suit everyone. Inside, the Explorer has plenty of space and, depending on configuration, a good amount of passenger room as well. We're fond of the Explorer's infotainment and safety options. There isn't much to dislike about the Explorer until you get into the details. The Ford Explorer has long been a benchmark and popular choice in the sport utility market. As others began to improve their offerings, though, the competition began to sometimes outshine the Explorer. For the 2016 model year, Ford upped the game with several improvements to the Explorer. The 2016 Ford Explorer still sets the benchmark for classic looks with a modern flair and fuel-efficient options in a true SUV format. New updates for this model year include some changes to the exterior, upgrades for the infotainment system, and a new trim level and engine option. For 2016, Ford introduced the Explorer Platinum edition that sits at a fitment level equal to any premium-grade offering on the market. With class-leading options like self-parking (both parallel and perpendicular), a bevy of road safety gadgets, and classy looks, this new trim is shadowed only by its breathtaking turbocharged V6. With three engines to choose from, a choice of either front-wheel or all-wheel drive in two of those engines (AWD is standard in the Sport and new Platinum trims), and the ability to tow nearly on par with a half-ton pickup, the 2016 Explorer is an excellent contender in the contentious full-sized SUV market. Add in its upscale interior and for many buyers, this SUV is the winner. And, miracle of miracles, the MyFordTouch system in our tester actually worked seamlessly without a problem but more on that later. First off, let's get into what makes this excellent midsize SUV such a great choice for families needing to take half the team to Little League practice all while still being able to tow your boat to the lake in the summertime without any worry. Because with the 2014 Ford Explorer, you really can do it all.